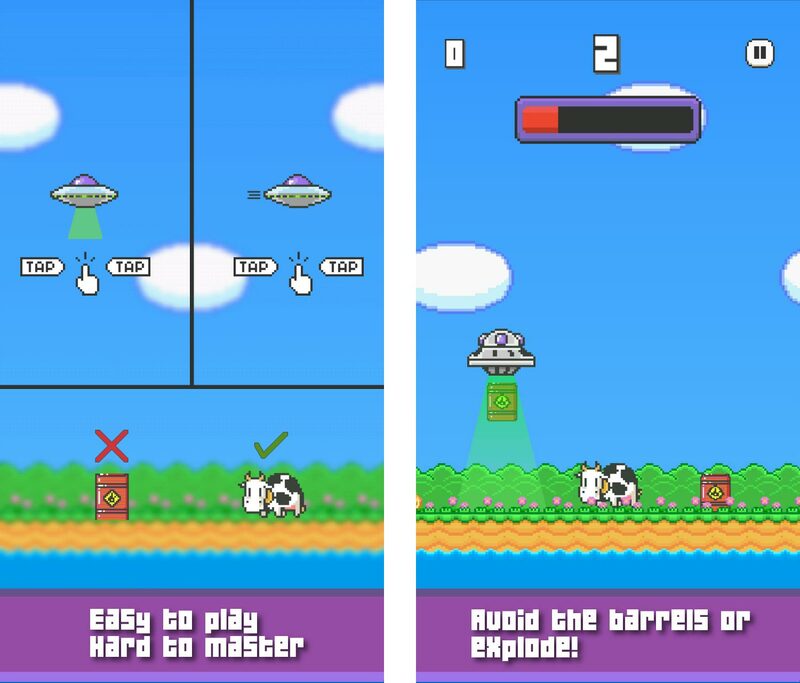 Home #IndieDev Alien Thief – You can’t get tired of abducting cows! 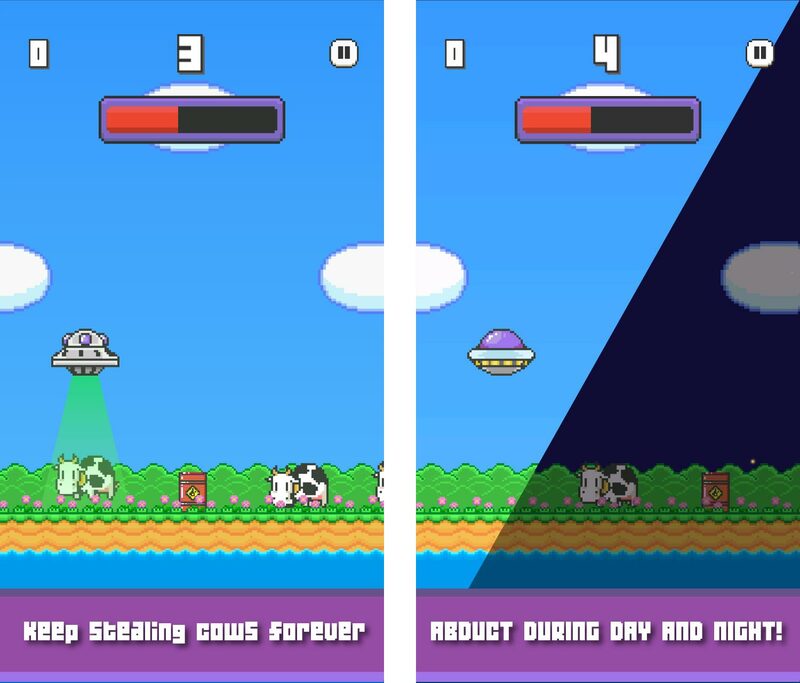 Alien Thief – You can’t get tired of abducting cows! Alien Thief is here! If you like smashing your fingers on your smartphone screen – and are good at it – this game is for you! Just tap on each side of the screen in order to move your flying saucer or abduct the cows. No difficulty level to select, just start playing! Touching on the left side will move your UFO straight ahead. Try to improve your coordination, and not get your fingers tangled! 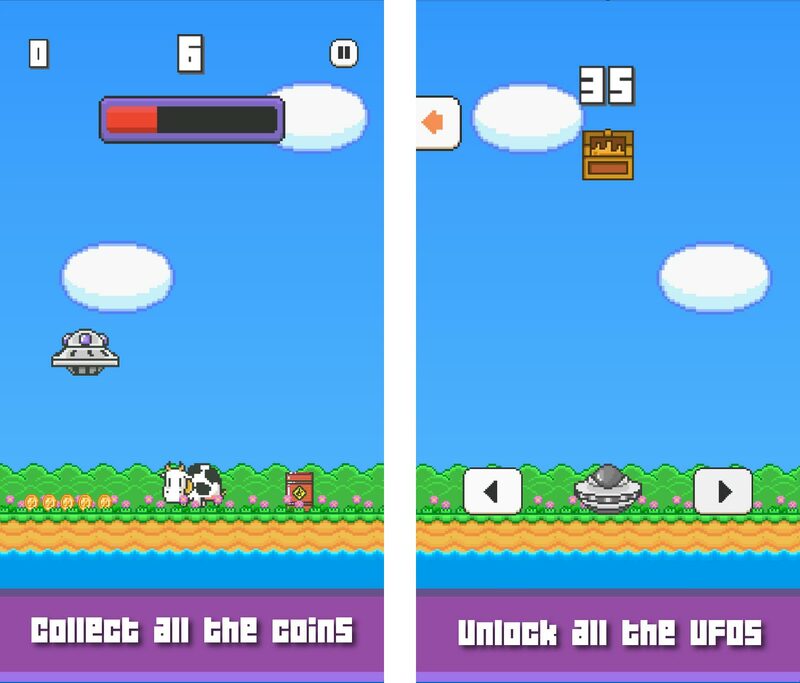 While you abduct as many cows as you can, you can also collect coins to unlock some super cool new UFOs. Mate Devs is a small game studio making innovative casual games for mobile since 2014. Our games offer challenging and fun mechanics designed to offer gamers the best experience possible! This article was Published by Edamame Reviews, Written by Mate Devs.